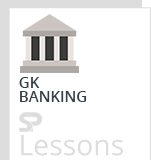 Bank Schemes – Apps article presents the lists of Schemes, Apps for Banking which are in service across the country. This is an important topic for Static GK of different competitive exams such as IBPS PO, Clerk, SSC CGL, SBI PO, NIACL Assistant, NICL AO, IBPS RRB, Railways, Civil Services etc. HDFC Bank have started Bharat Bill Payment System to collaborate with National Payment Corporation of India – Ease of Bill payment service for customers. HDFC life launched life insurance plan Pragati for low income group families. HDFC Bank launched IRA (Intelligent Robotic Assistant), a ‘humanoid’ at its Mumbai branch. HDFC Bank launched chat bot service On Chat to allow users to make payments through Facebook Messenger. The government of India patterning with ICICI Bank has launched electronic National Agriculture Market (e-NAM) – To make cashless payments at mandis. ICICI Bank launched EazyPay mobile application for merchants that allows all in one acceptance payments platform. Lakshmi Vilas Bank and Fisdom has launched FINFIT for the Wealth Management using Robo Advisory. State Bank of India (SBI) has launched a new credit card called the Unnati card. The Unnati card is provided to an account holder who holds an account balance of Rs.25,000 or more. State Bank of India Launched State Bank Rewardz Scheme Reward points for timely repayment of loans and also for opening an account or transferring funds through internet or mobile banking. The State Bank of India has launched a new wealth management product named ‘SBI Exclusif’ in Kochi, Kerala. State Bank of India (SBI) re branded its website as bank. sbi from earlier sbi.co.in. State Bank of India (SBI) launched State Bank MobiCash Mobile Wallet, in association with Bharat Sanchar Nigam Limited (BSNL). Oriental Bank of Commerce (OBC) has come up with several digital offerings including launch of mobile wallet ‘Oriental Batuaa’. Axis Bank launched Shubh Aarambh Scheme– It will waive 12 equated monthly installments (EMI) on regular repayment of loans of up to 30 lakh. Karnataka Vikas Grameen Banks (KVGB) has come up with ‘Bank Sakhi’ innovative scheme for employing women in villages to promote & improve the cashless transactions in rural areas. Airtel Payments Bank and MasterCard launched India’s first online debit card along with a prepaid card, accessible via Myairtel App. Citi Bank launched instant chat services for its customers named Citibank Online, First such customer support service in India by a Bank. Citi Bank India introduced voice bio metrics authentication system for its phone banking clients, replacing current practice of interactive voice response. Dena Bank introduced Radio Frequency Identification Card (RFID) enabled banking cards. It enables branch manager to identify a valued client entering a branch with the card. Karnataka Bank launched personal accident insurance scheme for savings bank account holders with name KBL Suraksha. YES Bank launched unique Customizable Savings Account to enable customers to design an account as per their convenience. Yes Bank launched SIMsePAY service that allows any account holder to do money transfers, pay utility bills and other mobile banking services, without need for smart phones or internet, based on simsleeve technology. Kerala Gramin Bank launched FI@School Program to propagate financial literacy among school children. Punjab National Bank (PNB) launched Contact less Credit Card Wave N Pay (on Visa Platinum platform), for transactions up to INR 2000. RBL Bank launched ‘Aadhaar Payment Bridge System’ (APBS) for small ticket micro finance loan disbursement. South Indian Bank introduced NRI focused mobile banking application SIB Mirror+.